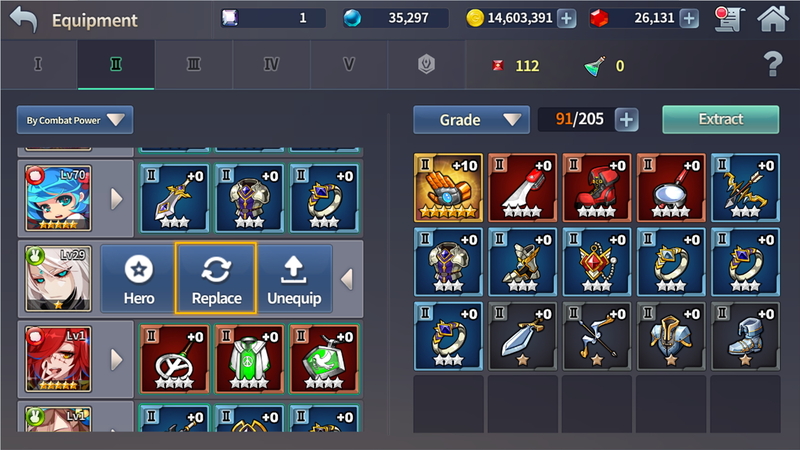 The more items you're equipped with, the more hassle it is to equip and unequip them. That's when the Replace menu comes in handy. 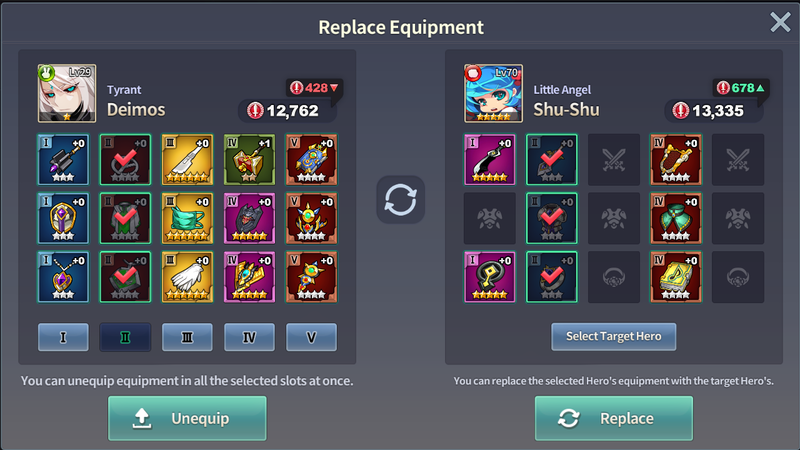 Select a target Hero and an equipment grade, and then select Replace. All the applicable equipment will be moved at once. All times are GMT0. This page was generated at 11:43 AM.